Circulation at major daily newspapers in the Tri-Counties presented a mixed picture for the six months ended Sept. 30, with most posting small declines that mirrored national trends. That’s what the Audit Bureau of Circulations, or ABC, said in its latest report, released on Oct. 27. 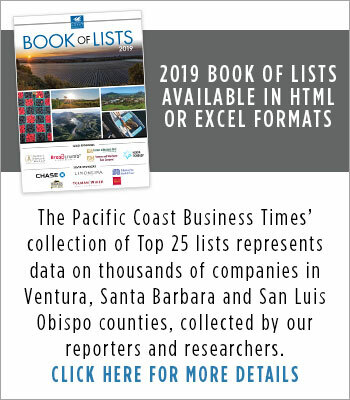 Even as newspapers in the region battle declining advertising revenue in a softened economy, a few bright spots shine through: The Santa Maria Times added weekday circulation, and both the Ventura County Star and the San Luis Obispo Tribune made healthy gains in online readership. At the same time, the Santa Barbara News-Press, whose circulation saw a sharp drop amid a newsroom labor dispute, appears to have stabilized its declines and pulled in line with the newspaper industry as a whole. The ABC’s report reflects total paid circulation for the six months ended Sept. 30. Tri-counties newspapers have fared well in comparison to other parts of the country. Compared to a year ago, the nation’s two largest newspapers – USA Today and the Wall Street Journal – held steady, with total paid circulation of about 2.3 million and 2 million, respectively. But a slew of papers in Houston, Boston, Orange County, Detroit and Philadelphia fell by 10 percent or more, with the Atlanta Journal-Constitution falling more than 13 percent. Closer to the Tri-Counties, total paid circulation for the Los Angeles Times fell 5.2 percent on weekdays, to about 740,000, and 5.1 percent Sundays, to just about 1 million, compared to a year ago. Online readership, however, soared 300 percent, from about 5 million unique users to about 21 million unique users, measured over six-month periods ended Sept. 30 in 2007 and 2008. At the Santa Maria Times, which is owned by Lee Enterprises, Sunday paid circulation declined about 2 percent, from 17,898 to 17,555. Average weekday circulation, however, saw a 2 percent increase from 18,439 to 18,823. Bolton, vice president for news at Lee Central Coast Newspapers, also had been editor of The Valley News and Santa Ynez Valley Extra Edition and continues as executive editor of the publications. He took over newsroom operations after Dave Bemis left the Times to become managing editor of the weekly Santa Ynez Valley News. At the Ventura County Star, which is owned by E.W. Scripps, average weekday circulation dropped about 2 percent, from 84,862 to 83,107. Sunday circulation dropped a half percent, from 94,643 to 94,145. Steve Smith, the Star’s vice president of circulation, said the newspaper has made an effort to weed out unprofitable readers and focus on profitable ones. While print circulation has declined, online readership at the Star has grown more than 73 percent, from 392,393 unique visitors in the six months ended Sept. 30, 2007, to 680,711 unique visitors in the same period this year. In that time, the Star has added video and a host of other new features to its Web site. At the San Luis Obispo Tribune, which is owned by McClatchy, average weekday circulation is down 2 percent, from 36,173 to 35,433. Sunday circulation is down 2 percent as well, from 42,050 to 41,227. But online readership has grown 26 percent, from 252,753 in the six months ended Sept. 30, 2007, to 317,717 in the same period this year. Bruce G. Ray, the Tribune’s publisher, said the site is garnering plenty of in-county traffic but also out-of-county visitors scoping out the area for a vacation or checking in on their old stomping grounds. “I think we do a good job of capturing those eyeballs,” Ray said. “Part of how we’re doing that is investing in our online content” such as reverse-published blogs, in which content generated online runs in the print product. At the privately owned Santa Barbara News-Press, average weekday circulation fell 3.6 percent, from 33,756 to 32,534. Sunday circulation declined 3.4 percent, from 34,746 to 33,576. As recently as a year ago, the News-Press’ circulation declines were near 15 percent. The declines appear to have pulled in line with the industry, and Barry Cappello, attorney for the News-Press and the designated spokesman on circulation, said he expects circulation to stabilize within a few years. 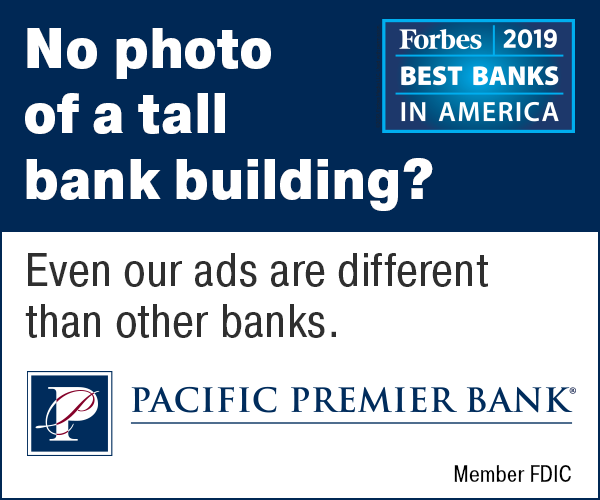 But as with every other newspaper in the country, Cappello said, “the recession is going to affect advertising, there’s just no question about it.” Real estate and automotive advertising, however, have remained healthy at the News-Press, Cappello said. Are you a subscriber? 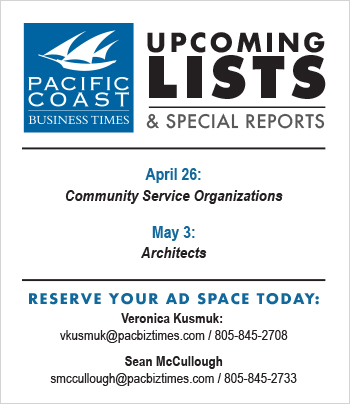 If not, sign up today and get four free issues of the Pacific Coast Business Time.